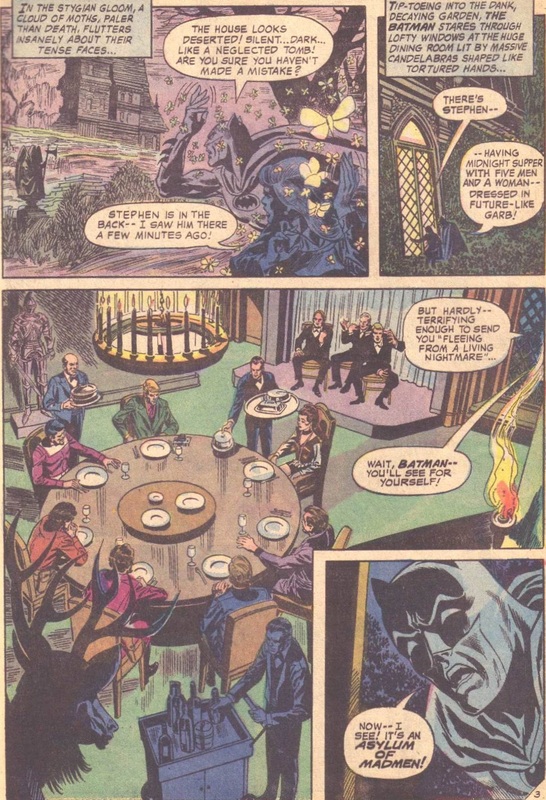 Welcome to the second edition of October 1970’s Into the Bronze Age! Today we begin our coverage of Adventure Comics with Supergirl’s new look, and we have another of the Aquaman adventures by the SAG team. Let’s see what fun awaits us! This issue of Supergirl contains a reprint, which is the headline tale oddly enough. I’m guessing that they had a shortfall of some sort. Either way, it also features the first of the ongoing adventures of the Maid of Might in her new costume. DC apparently held a write-in contest allowing readers to design the new look. That’s a pretty cool idea, and I imagine it was a good way to get interest and buy-in from female readers in 70s. I do wonder, however, if traditionally “girlie” interests like fashion would have held as much fascination for young ladies that were already breaking with convention by having an interest in superheroes. I suppose there are still a number of ‘female-friendly’ comics on the shelves at the time, comics marketed specifically at girls like the various romance books, but it seems like kids reading a flat-out superhero might be a bit different. I suppose that my curiosity on that score isn’t likely to be satisfied any time soon, but there it is nonetheless. If any of my readers happen to be ladies who were reading these books circa 1970, I’m sure we’d all be delighted to hear your take on the matter. Anyway, the results of the contest are Supergirl’s new costume, and I have to say, it’s one of my favorite looks for her. Unfortunately it is also a rather short lived one, but I find it an overall strong design for the character. It helps with one of the problems of her classic costume, the color balance. While Superman has his red trunks (in every proper version, darn you New 52!) to break up the blue, Supergirl doesn’t have such a feature. The boots and belt of this costume help to provide more visual interest, and I rather like the gloves as well. It’s recognizably a super-inspired costume, but one that has much more of her personality on display. The story itself is a simple but fun little yarn, a variation on a gag that has been used many times before and since this issue hit the stands. It begins with Supergirl, young Linda Danvers, lounging in her apartment watching TV. Apparently, she enjoys watching the tube by contorting her body, given the way she has her chair aligned with the set. Also, she seems not to have gotten the memo from Batman that one should do one’s TV watching in costume. Nevertheless, she hears a broadcast about an aircraft carrier that has suddenly vanished in the Gulf. She leaps into action and goes to investigate, searching for hours above and below the waves but finding nothing. When she surfaces again, she sees a trio of search planes disappear into the thin air and she follows hot on their tailfins, emerging in an alternate dimension! When she arrives, she sees a massive alien, on something of a King Kong scale, examining the planes. When she goes to speak with the creature, a larger being, apparently the smaller one’s father, enters, searching for something called a ‘dimension grappler.’ It seems that Jr. has been playing with Daddy’s tools. The little one lies and says he hasn’t seen it, and in a funny little scene, Supergirl turns snitch, using super lungs to be heard and pointing out Jr.’s perfidiousness. The mystery solved, the earthlings are sent home while Jr. gets his just deserts. This is a silly but fun little story, and the silliness is so matter-of-fact that one can’t really hold it against the comic. As goofy as the concept is, it still seems perfectly at home in the DC Universe. I wonder how many times that gag has been used over the years, the omnipotent child. I know it’s shown up in everything from Star Trek to Transformers, and many a setting in between. This particular story is very brief, but it still manages a funny beat with the punishment of Jr. and a little bit of characterization in the way that Supergirl handles the problem. Her dialog, not wanting to be a snitch, is rather entertaining, and I rather like that her solution is nonviolent, just a direct conversation. In the end, this is just too brief to earn more than an average rating, however cute it is. 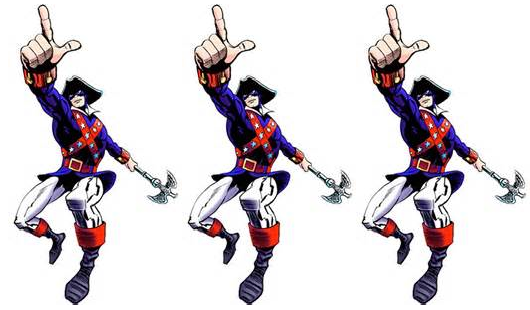 I’ll give it 3 Minutemen. Well dear readers, you are looking at a rarity, the only clunker in the entire SAG run on Aquaman. It’s a crying shame too, because this book is graced by one heck of a cover! Just look at that wild image. How could you have resisted pulling that off the shelf or the spinner rack? Unfortunately, the promise of that cover is squandered inside, and the epic struggle against impossible odds never occurs on the pages within. 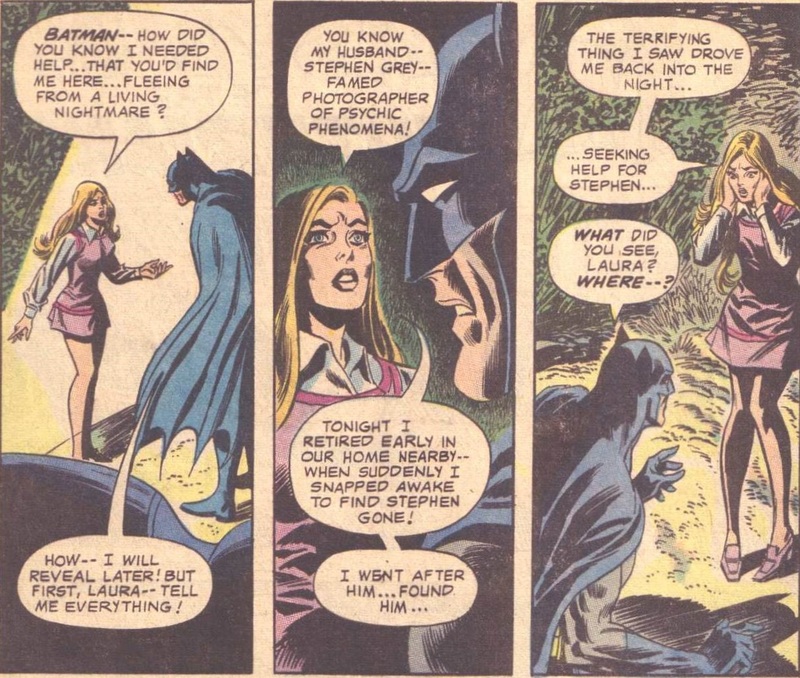 Instead, we get a really bizarre little story that seems much more fitting for Bob Haney than for Steve Skeates. It is silly and off-beat, but it feels much more like a handful of independent ideas than a coherent story. I’m thinking that maybe there is some type of inside joke here I’m not getting, but whatever the case, this story just didn’t come together for me. Interestingly, the splash page includes the debut of the S.A.G. branding. This is not the most auspicious premiere of the symbol. It begins promisingly enough, though with a quirkiness that proves par for the rest of the course. A secretary is tap-tap-tapping away at her typewriter in an office building, oblivious to the fact that water is rushing in around her until she is entirely submerged. The page is rather funny, and the girl’s surprised face once she’s underwater is comedic. 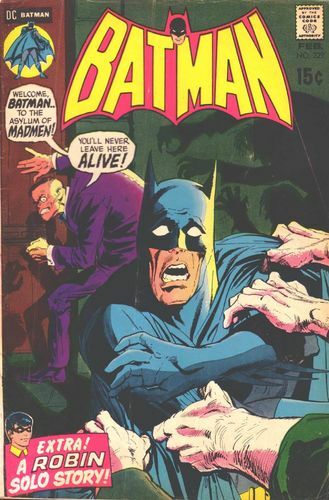 Aparo definitely stretches his comedy skills in this issue, for what that’s worth. Yet, the submarine secretary is not actually about to suffer a sea-drenched sendoff. This is apparently just the sales pitch of a “scientist,” a suspicious looking character wearing sunglasses and a fedora. He’s trying to convince chubby Race Bannon…er…that is, Eliot Harlanson, a Californian bigwig of some unspecified variety, that Atlantis is destined to rise and, as a result, California is destined to sink beneath the waves. Fortunately for Mr. Shades, Harlanson (Chubby Race…Chace?) has more money than brains, so he buys the tall tale…though, I suppose in the DC Universe, this would be pretty plausible. In a really odd touch, the millionaire is not all that worries about the millions that would die if California sank into the sea. No, what he’s really concerned about is his house, as he continually describes it, his “beautiful, spacious home,” upon which he’s spent millions. Well, what is a selfish millionaire to do in such a situation? Mr. Shades has a plan. He just needs to buy an atomic bomb (an ‘A-bomb’), ’cause you can just pick one of those up at the corner store, and nuke Atlantis. Problem solved. So, you can see that the weirdness of this tale starts out already cranked to 11. It gets more convoluted, though. Mr. Shades turns out to be an agent of O.G.R.E. Remember them? They’re one of a passel of secret criminal organizations that sprouted up during the James Bond, Man from U.N.C.L.E. craze in the 60s. There for a while, every hero had their very own evil organization as a nemesis. Aquaman had his O.G.R.E. and Hawkman had C.A.W., and there were plenty others to boot. These guys haven’t been heard from in nearly 30 issues at this point, and sadly this is not the most impressive of homecomings. That really is a shame because I always felt like O.G.R.E. had a decent amount of potential, though it was never developed. Blend in some of the 80s anti-corporate themes and make O.G.R.E. a consortium of massive, shady corporations looking to exploit the resources of the oceans and willing to go to any lengths to accomplish their ends; maybe you’d have something. You could weave any number of plots into their machinations, and such a setup gives you a constant background source of threats and supervillains. 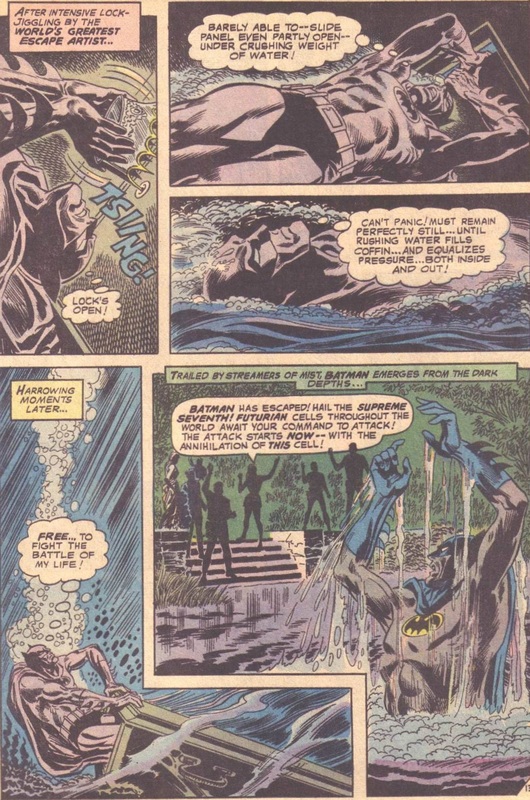 The last gasp of the ill-fated Sword of Atlantis take on Aquaman got into something rather similar, though it never got a good chance to develop the story hooks Tad Williams introduced. Anyway, as I said, O.G.R.E. doesn’t come off too well here. Apparently, they want to take out Aquaman, and they see nuking Atlantis as the simplest way to do this…I wonder if they’ve ever heard of overkill. Yet, their organization is not up to the job, so they’re convincing some random millionaire moron to do their dirty work for them…somehow. But their plan is YET MORE convoluted, as they’ve also employed Black Manta to act as (unwitting) bait to lure Aquaman to Atlantis so he’ll be in position for the ensuing nuclear holocaust. Remember that Manta showed up a few issues back? Well, this is why. He’s serving as a catspaw for O.G.R.E., and he’s armed with a shiny new raygun for the job. We cut back to him ranting and raving outside of Atlantis, where he provokes the Sea King into sending his finny friends against him, only to have them scattered by a blast from the gun, which ‘scrambles brainwaves.’ For some reason, this single gun seems to convince everyone that Manta can suddenly conquer Atlantis with his half dozen men, so the Marine Marvel goes out to head him off. 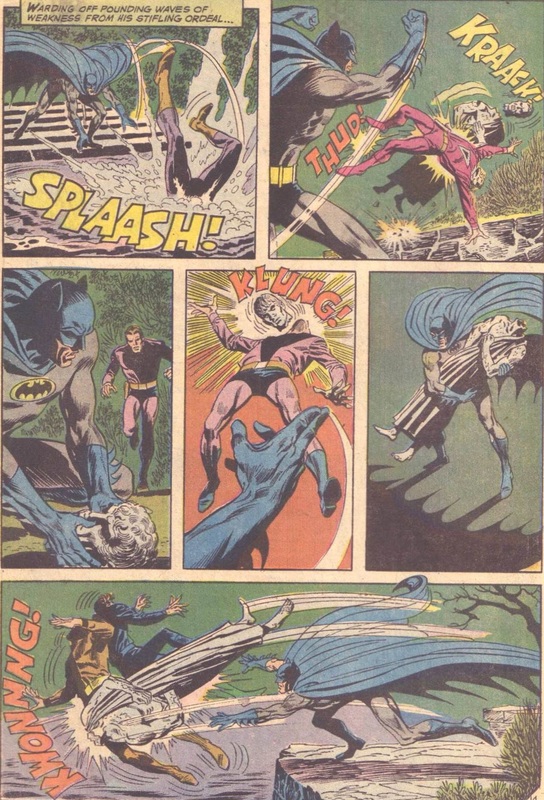 In an admittedly neat page, Aquaman bets on his mental powers to shield him from the ray’s effects and focuses with all his might on a single though, ‘get Manta!’ He powers through the blast and clocks his nemesis with a powerful blow. I always enjoy displays of the Sea King’s mental fortitude and grit, so I like this bit. After capturing the devious devil-ray themed villain, Aquaman interrogates him, literally slapping the truth out of him in a fairly awesome sequence. The Sea King realizes that something is up, and he gets Manta to admit that someone put him up to this attack. Slapping him THROUGH the metal helmet, Aquaman is a tough son of a gun. Unfortunately, the villain doesn’t know what O.G.R.E. is planning, so the Marine Marvel can’t do anything but patrol around the undersea city. Luckily, he spots the sub on its approach and summons a giant squid (!) to grab it. This is an awesome panel, with the sea creature completely dwarfing the sub and emphasizing the power at Aquaman’s command. Just as it seems the day is saved, the stupidity and utter incompetence of our Californian millionaire, personally overseeing the mission, of course, comes into play. He hits the release lever for the bomb, and it seems as if Atlantis is doomed! Aquaman races desperately to catch it, but even the fastest being under the sea isn’t quite fast enough, and the bomb hits the seabed…and nothing happens. It’s a dud. This issue is just too weird. Harlanson doing all of this just to protect his fancy house is just plain silly. All of the other elements seem incongruous as well: the O.G.R.E. agents who don’t actually do anything, the anticlimax of the bomb being a dud, the pointless battle with Manta that has zero impact on the story, and the uncharacteristic foolishness of Aquaman just letting his most deadly enemy go free after capturing him IN THE ACT of trying to CONQUER ATLANTIS. It’s just too much. 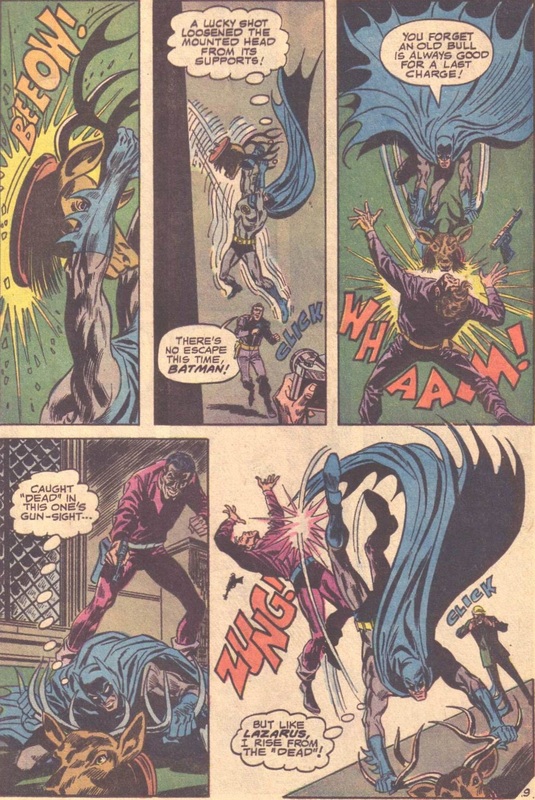 There are several fun moments, and Aparo’s art is as awesome as always, but the final result just leaves me scratching my head. It isn’t actively annoying, like the book of certain Green-clad heroes, but it certainly isn’t nearly as good as the bulk of the SAG productions. I’ll give it 2 Minutemen. There’s some fun to be had here, but it is mostly buried under the silliness. Was this really in the zeitgeist in the 70s? I thought all that ‘Atlantis rising’ hogwash was a result of the spiritualist movement in the 20s with Edgar Cayce and that bunch. I’m curious if there’s something I’m missing. As always, if you know something I don’t, please drop me a line in the comments! Well, that does it for today’s features. I hope you’ll join me soon for another pair of Bronze Age stories. Until then, keep up the search for adventure!